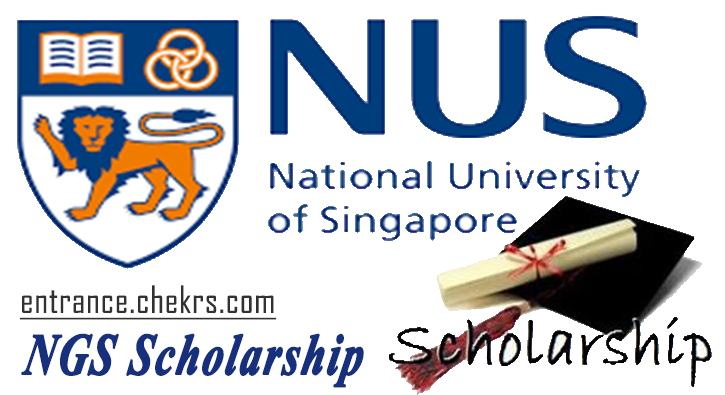 NGS Scholarship 2019 is being awarded by National University of Singapore to the students who want to pursue Doctor of Philosophy (PhD) program at NUS Graduate School for Integrative Sciences and Engineering. The NGS Research Scholarship is awarded to the young and talented aspirants for supporting them with an aptitude for innovative, high caliber PhD research. It’s a full-time program and to apply for NGS NUS Full Scholarship 2019, applicants must possess a Bachelors degree. Interested and eligible aspirants must apply online for the scholarship scheme by filling NGS Scholarship Application before the deadline 15/5/2019. To get more details of NGS Scholarship interview, eligibility, important dates, go through the article below. All the graduates who possess a high passion for research are eligible to apply for NUS Graduate Scholarship. The NUS Graduate School for Integrative Sciences and Engineering (NGS) is the home of cross-disciplinary PhD research and educational courses. With its intensive research programme offered under NGS PHD Scholarship 2019, students can receive research excellence and compete with the outer world at the best level. In 2017 the Application form was available in between March to May while in 2018 It was available from 1st September to 15 December. So We expect the same this time also. Any graduate who has a passion for cross-disciplinary research in science, engineering, computing, and related aspects of medicine. Graduate with at least 2nd Upper Honors, or equivalent qualifications. GRE is compulsory for all candidates except for applicants from NUS or NTU. TOEFL is compulsory for the applicants whose native tongue or medium of undergraduate instruction is not in English. There are 2 Part in this Process i.e. After It He/ She must enter all the mandatory details. Thereafter, please print out your completed application form sign the form. Then applicants also need to upload all the required documents which are Listed below. Here Please ensure all is proper and complete before you “Submit” your online application. The Hard Copy must be send to the following address and Please indicate NGS Scholarship on the top of the envelope. If it is not accessable, then please email ngsenquiry@nus.edu.sg, stating your NGS’ PhD application number, and your full name. Thus, Must Note that “Your application will be only considered COMPLETE after you submit your PDF dossier, submit your hardcopy package, submit your Questionnaire returns. An d all BEFORE the application deadline. A copy of Masters/ Bachelors Degree Transcript and Certificates with English Translation. The results are declared after three months from the closure of application process. All the shortlisted applicants will be notified via email or phone. The shortlisted applicants must further proceed to NGS Scholarship Interview round. Candidates will be offered a monthly stipend of S$ 3,000 for international student up to 4 years of the PhD studies, or up to date of graduation, whichever is earlier. Full tuition fee subsidies for 4 years are available. Other allowances include computer allowance, book allowance, and conference allowance. Student must commit to PhD course from the outset, cannot exit with MSc. NGS scholarship is for all Graduates who are interested in research for science, engineering, computing, and related aspects of medicine and at the same time, GRE is also compulsory.